This beginner class uses your sewing machine , or ours for the day. 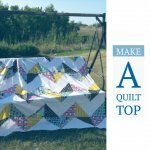 Talk of pros and cons of each of the various methods of "sandwiching" your quilt top, types of batting. and tips and tricks of binding methods are discussed to finish the quilt. 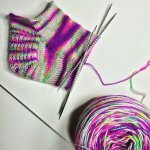 Learn to Ankle Socks . Perfect for Summer. Make a lap quilt in our one day class from 10 am to 4pm. Learn the acronyms of quilting, how to manage a rotary cutter, cut a piece of fabric and sew it back together, in a various alternative ways and learn the basics of geometrics, colour and designing. Then get addicted with our 1/2 square triangle techniques ! Machine Available please specify if you need one. 3 Day Pattern Alteration Retreat with Ron Collins.